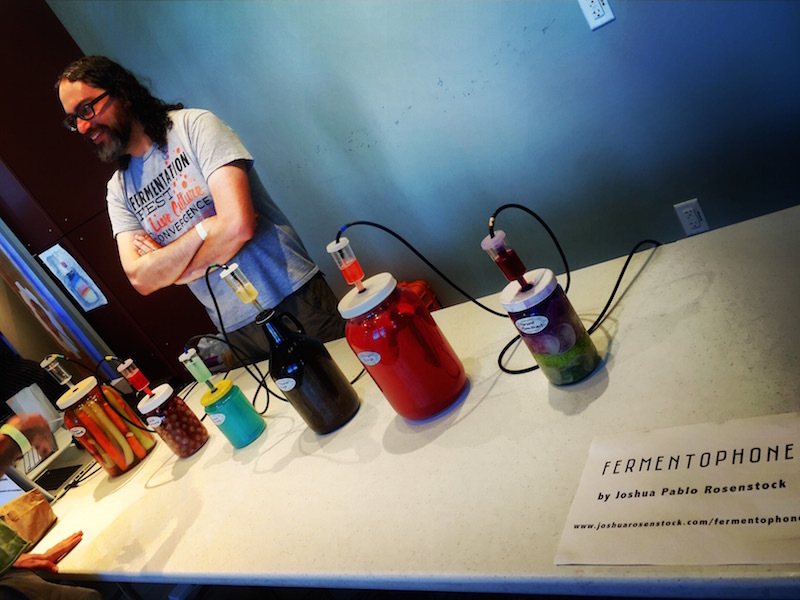 We had our summer fun, fermentation-style! Chris, Mary, and Rachel report from the Boston Fermentation Festival at the Boston Public Market for lectures, workshops, and all sorts of great fermenters from New England. We hear from Jeremy Ogusky, Joshua Pablo Rosenstock (maker of the Fermentophone, which you can see below), Jeffrey Yoskowitz, Matt Scobrack, Doug Schmidt, and Paul Nixon of Independent Fermentations. The Fermentophone in all its glory!